The signing of a Comprehensive Peace Agreement by the Sudanese Government and the rebel group SPLM/A brought about the end to decades of civil war, and South Sudan’s independence in 2011. 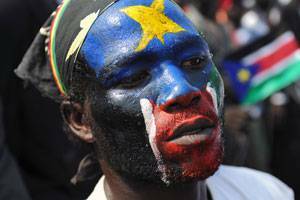 However, many issues remain unresolved for South Sudan and its northern neighbour. Post-indendence instability and the ruling SPLM/A’s internal hierarchy led to an internal party power struggle between President Salva Kiir Mayardit and his Vice, Riek Machar. This sparked conflict, beginning in the capital, Juba, between the ruling SPLM/A and SPLM In Opposition (SPLM-IO). Violence soon spread across the country, acquiring an ethnic dimension as both Kiir (Dinka) and Machar (Nuer) drew support and recruits from their ethnic groups. The conflict was further complicated by other groups forming militias and calling for their own independence. An Intergovernmental Authority on Development-driven mediation produced a peace agreement in 2015. As stipulated, Machar returned to Juba in 2016 as Kiir’s Vice President. However, clashes between their followers in early July rekindled the violence. Machar rapidly fled Juba as the fighting spread and intensified, becoming particularly brutal in the Equatoria region. In December 2016, the UN announced evidence of ethnic cleansing, highlighting human rights violations perpetrated by both sides since 2013, including widespread sexual abuse of civilians. A ‘man-made famine’ in February 2017 compounded this civilian suffering. 6 million people are facing acute hunger and 1 million people have fled to Uganda as part of the world’s fastest growing refugee crisis. In May 2017, President Kirr called a ceasefire and launched a national dialogue. Prospects for peace remain grim however, as he refuses to allow Machar himself take part.